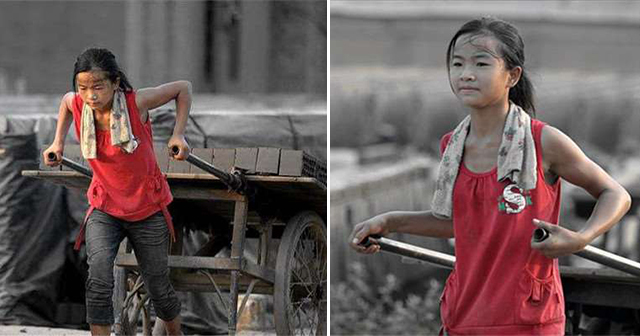 At her very young age, this girl struggles in her work to provide for her grandparents. She works at a construction site instead of spending time with her friend or enjoying her youthful life as a kid. She even skipped school for her to focus more on work to save some money. 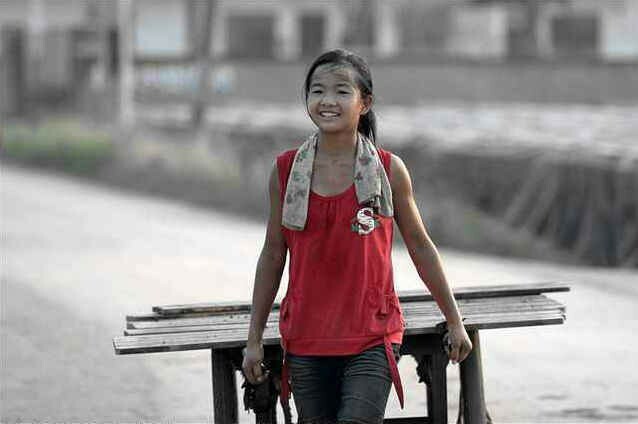 She learned to earn money at a very young age of 10 and was very unlucky that she has to withdraw her adolescent life as a kid to support her grandparents. After losing his father in a tragic accident, her mother chose to live with another man and then left her with her grandparents. But her grandparents were too weak for work that’s why she became their guardian and relied on her the burden for them to live. “Never mind. I need money to pay for my grandparents’ hospital bill and medicine,” she stated. A lot of children engage in child labor because of poverty even though there is an age limit for work in their country. But for her, being able to work on a construction site and provide a life for her family was still a blessing. Child labor is an offense against the fundamental human rights according to the International Labour Organization. It hinders the development of the child which drastically impairs their behavior due to the psychological and physical damage it renders. There has also been an evident link between household poverty and child labor. It made a distinct fact that this affects the poor children attaining a good education and robs them a chance to have a better prospect in life. This standard has made an impoverishing effect on the economical growth and social development of the country that’s why some countries force a very strong law about child labor. What are your thoughts? Share it with this article!